All of the papers are from Jillibean Soup. Don't you just love how they all go together?...it makes it so easy. 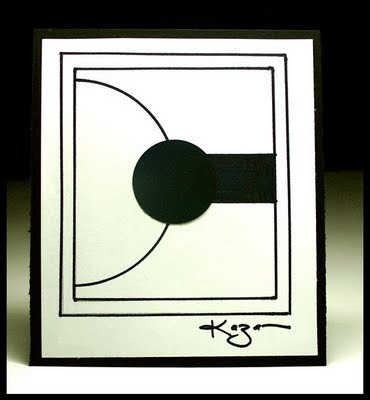 The card base (green) and the red label die cut are from K&Company. The black twill is from Michael's dollar spot. 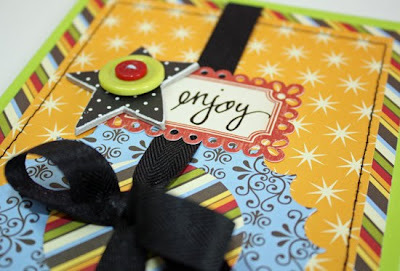 The chipboard star is from Bazzill, buttons are from Creative Cafe and the rub on is from Making Memories. 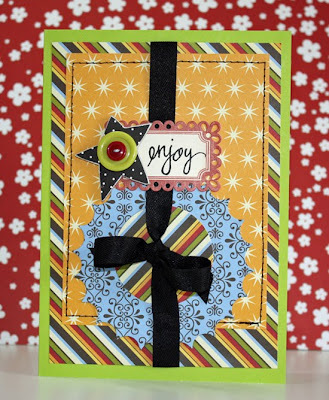 I also used my Spellbinders inverted scallop die. This is fun, sassy and oh so cute! Love the eclectic use of colors and pattern. so fun and fabulous! love the colors! This is gorgeous!!! I love the colours!